2. Monsters jump by about 10 levels in this area. 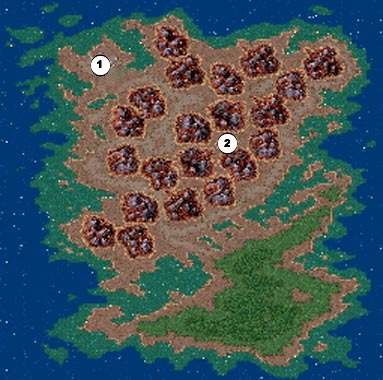 Note: Entering the Middle of the volcano's mainly around the mini splash of a lake (but not restricted too that) you will encounter The HIGHER level range. Thanks Myste, Blackrosie, Kaehow and SrawnyB.